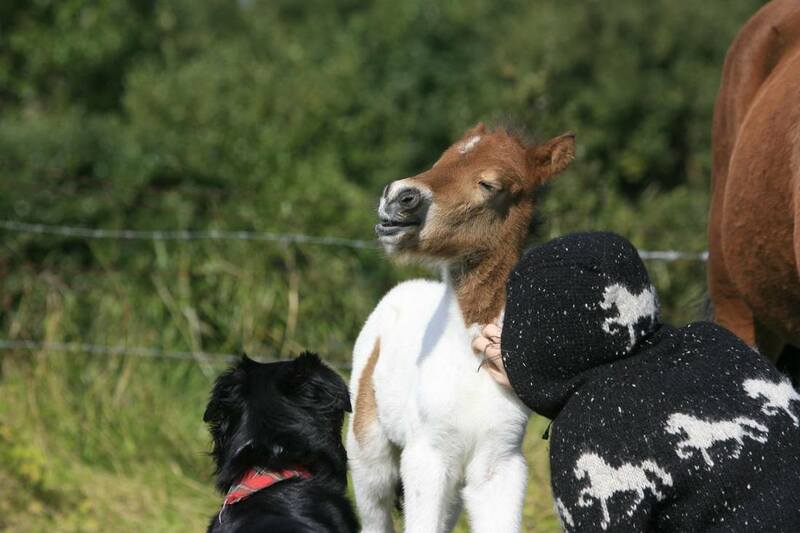 Many Icelandic Horse Fans are keen knitters, too! 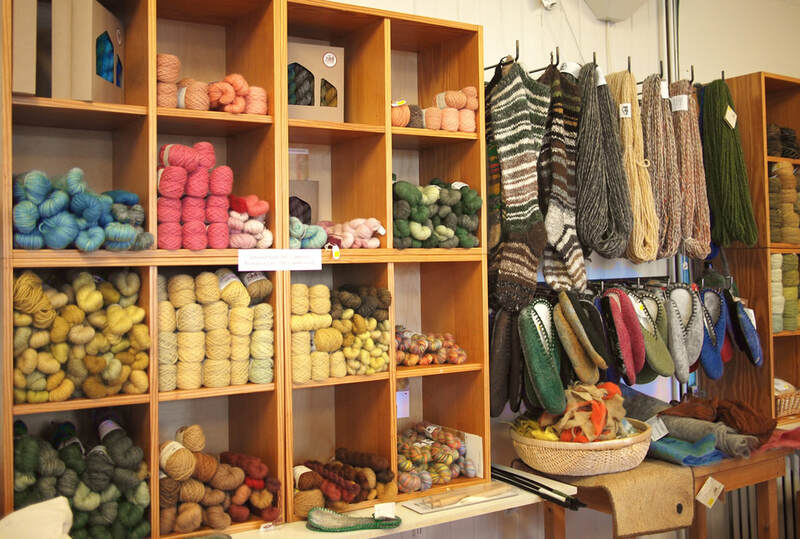 Knitting has – just as horseback riding – a long tradition in Iceland. If you would like to combine these two lovely hobbies contact us for your perfect Riding & Knitting Adventure. ​We offer many different options for small private groups! 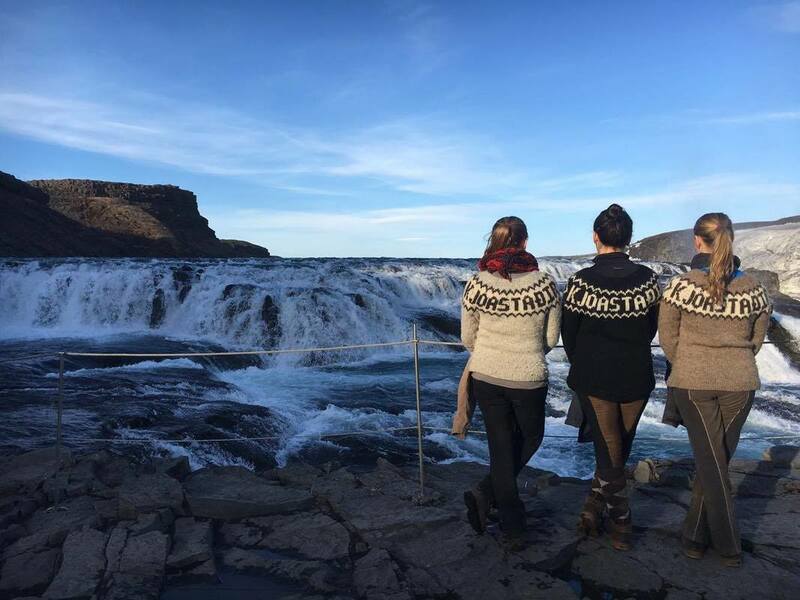 These tour options below may give you an idea for your personal Icelandic Riding & Knitting Adventure! Arrival at Keflavík Airport and transfer to the guesthouse on a well known breeding and training farm. Possible stop at the Blue Lagoon. Dinner at the guesthouse and visit to the stables. Discuss with the hosts your wishes for lessons and trail rides. 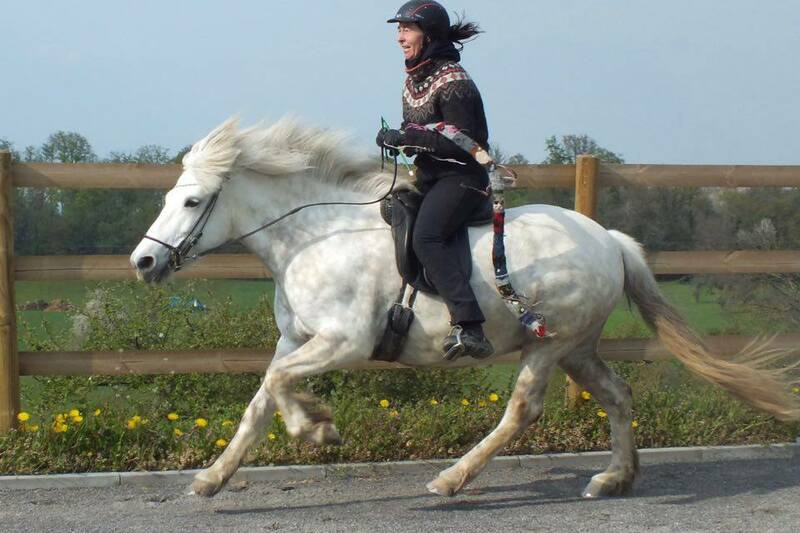 All lessons are with a qualified riding instructor. Inside riding arena and lovely trails all around. Very well trained horses up to competition level. 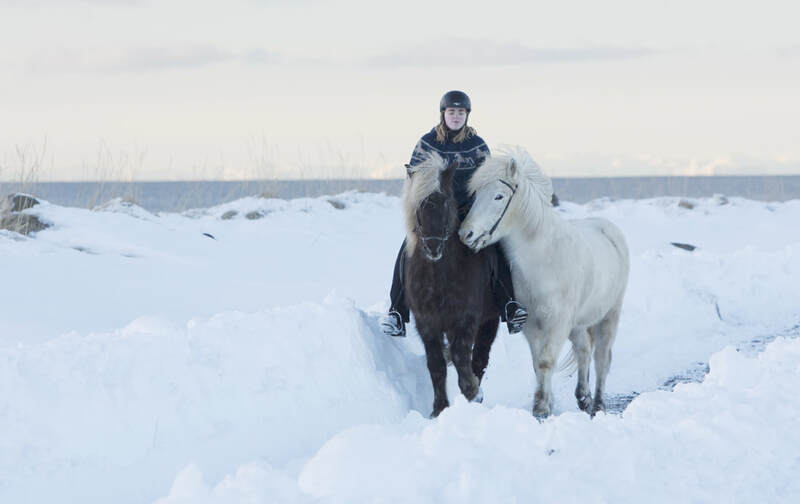 Enjoy lessons or trail rides during the morning and discover the natural wonders of South Iceland either by guided tours or as a self-drive option. Enjoy rides along the glacial river Þjórsá with magnificent views of glaciers and volcanoes. Sightseeing along the South Coast with its many waterfalls, the exciting Lava Centre and to Gullfoss and Geysir can be arranged. In the evening relax in the hot tub with a view of open countryside! Transfer back to Reykjavík for a last night in the capital. Enjoy a walk through the many handicraft stores downtown Reykjavík has to offer or join a tasty Reykjavík Food Tour. 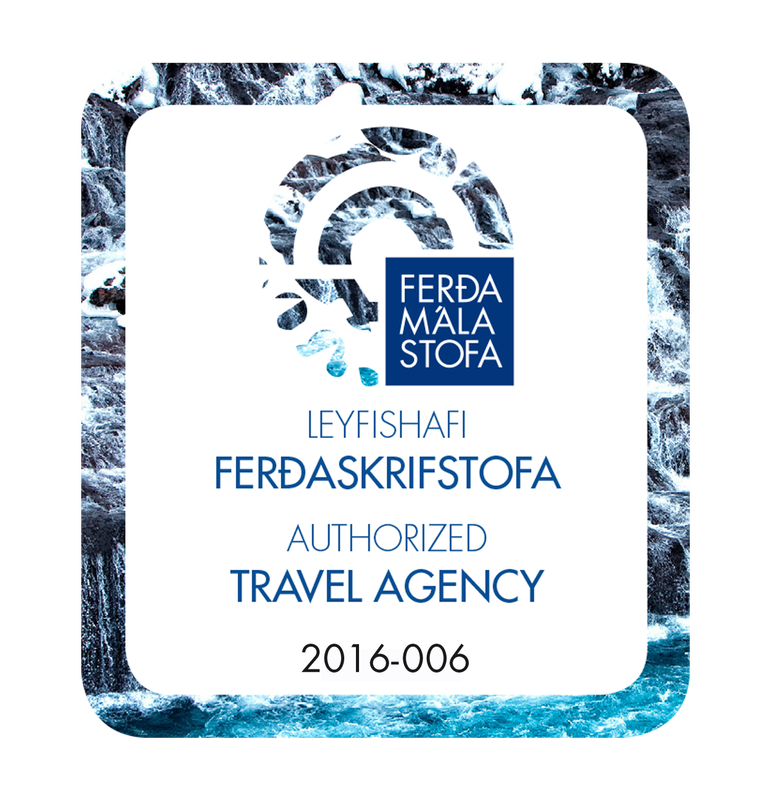 If you wish you can add a day tour to see the natural wonders of West Iceland or ride along the beach of Álftanes Peninsula. Knitting lessons with local knitters and visits to wool workshops and other famous horse breeding farms in South Iceland can be arranged. ​Your accommodation: Cozy double and triple rooms with shared facilities. Hot tub and indoor riding arena on site. Full board. Choice of trail rides and lessons by qualified riding instructor. German and English speaking. Please contact us for prices and availabilities! Arrival at Keflavík Airport and transfer to the guesthouse on a lovely horse trekking farm close to the natural wonders of Geysir and Gullfoss. Possible stop at the Blue Lagoon. Dinner at the guesthouse and introduction to the wool clinic. Enjoy daily trail rides and the wool workshop provided by your host who resides on site. During the workshop you will visit the Icelandic sheep, learn about sheep shearing, combing the wool, felting and spinning. Different traditional patterns are discussed. A visit to the Geothermal Natural Bathing Spring Secret Lagoon is included and an evening with local knitters! Additional sightseeing on the transfer days or from the guesthouse can be arranged either by guided tours or as a self- drive option. 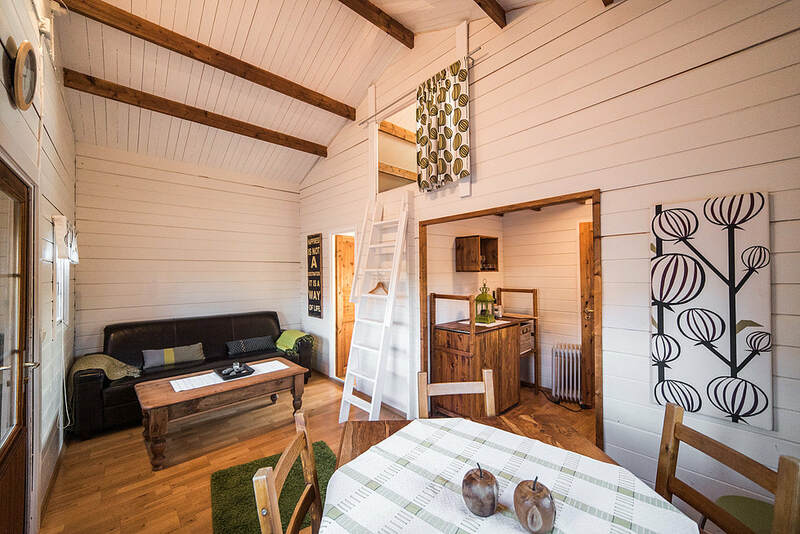 ​Your accommodation: Double, triple and 4-bed rooms with shared facilities in a very cozy guesthouse with a lovely lounge for knitting with direct view to the spouting geysir Strokkur. Full board and choice of daily trail rides. English and Swedish speaking. Arrival at Keflavík Airport and pick up your rental car. 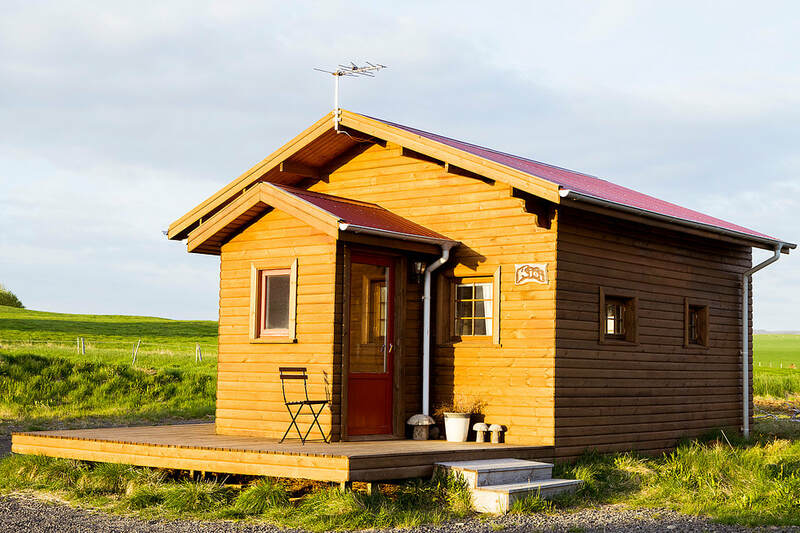 Drive via the Blue Lagoon and along the breathtaking coastline to your cozy self- catering cottage located on a popular horse trekking farm close to the famous natural wonders of Geysir and Gullfoss. Check in at the cottage and prepare your dinner or enjoy a meal at the restaurants nearby. A visit to the Geothermal Natural Bathing Spring Secret Lagoon is included and an evening with local knitters! We will give you plenty of options for exciting self- drive tours from the farm! ​Your accommodation: Cozy self-catering cottage sleeping max. 6 persons on a very popular horse trekking farm in South Iceland. Bed linen and towels included. Choice of daily trail rides. English and Swedish speaking.